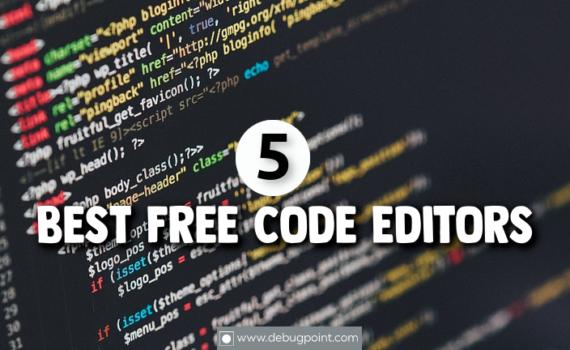 Here’s 5 free code editors for Linux systems which you should try. Atom, Sublime Text, Brackets, Lighttable & Visual Studio Code - all of them are outstanding. Have a look and pick your favorite. Carlos Castro León is a computer engineer in northern Peru. He started using Linux in 2006 when another Linux user helped him install Ubuntu Edgy Eft. When Carlos attended college he decided to use a more stable distribution: “I already knew about Fedora 16 and decided to use it.” Castro León currently works as a computer engineer in Peru. His main task is to coordinate the activities of a team of individuals who manage the servers and networking at his company. Manjaro 18.0 Xfce Edition is official Manjaro Linux flavour with XFCE 4.13 as default desktop environment include Xfce component.Powered by the latest Long-Term Support of Linux Kernel 4.19, include pamac version 7.3.
in manjaro 18.0, The Manjaro Settings Manager (MSM) now provides an easy-to-use graphical interface for installing and removing the many series of kernels. At the time of this release, eight kernel-series are available directly from our binary repositories, from 3.16 series to the latest 4.19 release. New Video Walkthroughs of antiX 17.3 and Linux Mint 19.1 "MATE"
In this video, we look at antiX 17.3 with the old-school touch. In this video, I am going to show an overview of Linux Mint 19.1 "MATE" and some of the applications pre-installed. Everyone is a Linux user, but almost no one knows it. The operating system is a strange beast. You'd be hard pressed to come up with another tool so widely used, so widely deployed, and so absolutely necessary to the functioning of the modern world that is simultaneously so utterly unknown outside the tech community. From ATMs, to phones, to in flight displays, to the Web server your browser got this page from, we are all using Linux every day even if we don't all realize it. Yet even with that ubiquity, there's one place Linux has never really succeeded: the desktop. Despite passionate communities of users (as seen in place like Ars comment threads), Windows and macOS dominate the desktop and that's unlikely to change in the near term. 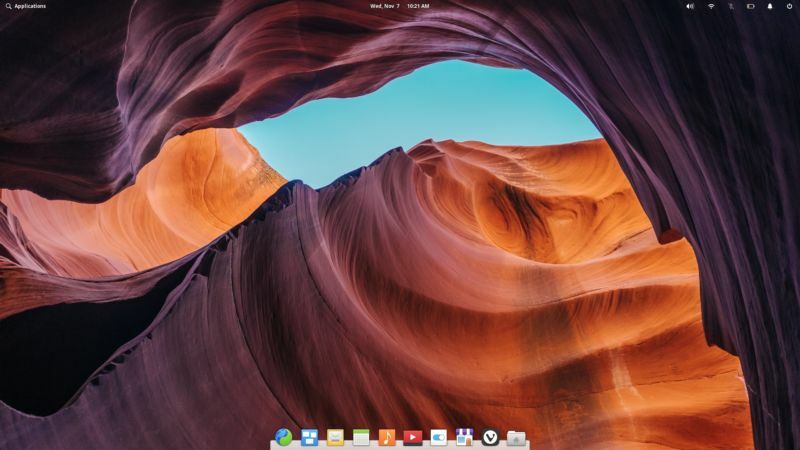 Though if it ever does, it will likely be because of projects like elementary OS—an operating system that seeks to bring the polish of commercial desktops to the world of Linux. 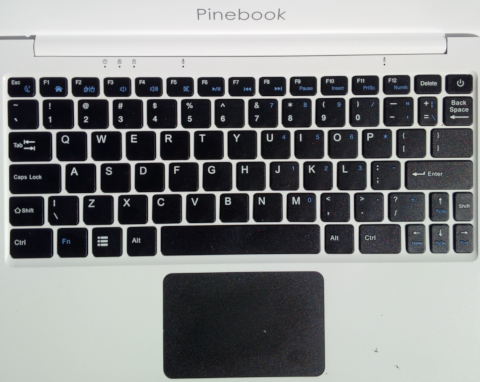 When I first heard about the Pinebook back in April 2017, I became very excited. I am always on the lookout for a good travel laptop, something that is small (less than 12 inches in screen size), light (not much more than 1 kg), thin and inexpensive. Although there are many nice notebooks that would meet most of the above criteria, they all have one big flaw on the software side of things - they come with Windows pre-installed. The last time I used Windows was in early 2001 and I have no desire to return to that estranged companion with which I'd never had a very good relationship anyway. As such, I don't see a point in paying a hefty license fee for a product I will not use. This disqualifies all computers built by the established manufacturers as they are extremely careful not to irritate the software giant by shipping Linux (quelle horreur!) on their machines. So what about the specialist Linux laptops assembled by the likes of System76 or Slimbook, you might ask. Well, these have certainly been on my radar for some time, but unfortunately neither of them offers a sub-12" laptop configuration at present. One reasonable compromise would be a Chromebook which is light and cheap and which doesn't come with Windows. However, I've always found Google's implementation of Linux on these machines severely limiting, even in developer's mode (although I hear the more recent Chromebooks with the ability to add Android apps are much more versatile). Installing Linux alongside Google Chrome OS or booting a full-featured Linux distribution from an SD card would be a decent option, but still not ideal. So once the news about Pine64 developing a low-cost, 11.6-inch Linux laptop started circulating on popular tech websites, I became very interested. Q4OS has a focus on security, reliability, long-term stability and conservative integration of verified new features. This operating system is a proven performer for speed and very low hardware requirements. That performance is optimized for both new and very old hardware. For small business owners and high-tech minded home office workers, Q4OS is well suited for virtualization and cloud computing. One of the hallmarks of this distro is to be a suitable powerhouse platform for legacy hardware. So the developers continue to resist a trend among Linux devs to drop support for old 32-bit computers.The 32-bit versions work with or without the PAE memory extension technology. 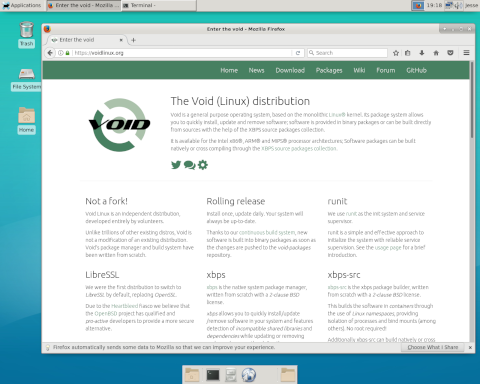 Void is an independently-developed, rolling-release Linux distribution with a number of interesting characteristics, such as its own package management system (called XBPS), a custom init system (runit), integration of LibreSSL instead of OpenSSL in the base operating system, and support for several popular ARM-based devices as well as x86 images. The operating system is available in several editions, including Cinnamon, Enlightenment, LXDE, LXQt, MATE and Xfce. New Void users will also be able to choose whether to run the distribution with the GNU C Library or musl libc library. I opted to download the Xfce edition running on the GNU C Library for 64-bit machines; the ISO was 693MB in size. Booting from the Void media brought up the Xfce 4.12 desktop environment. 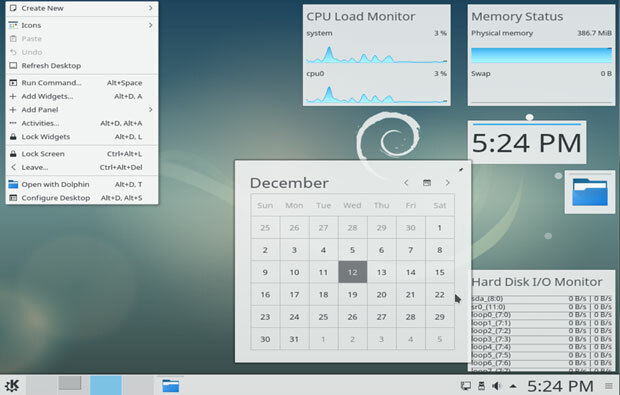 The desktop is presented with a panel at the top of the screen which holds the application menu and system tray. At the bottom of the display is a dock where we can quick-launch applications. 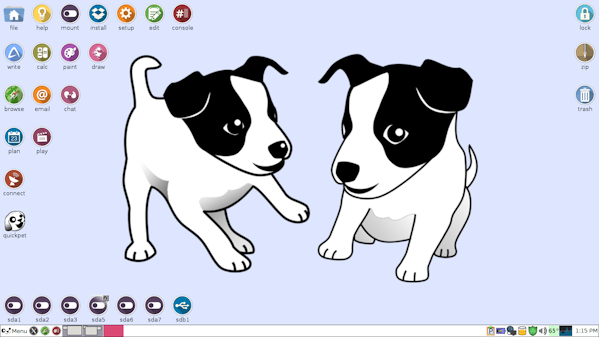 The desktop has a few icons for launching the Thunar file manager. If Void detects any disk partitions these will also be listed on the desktop for easy access. The theme is mostly grey and relatively plain.